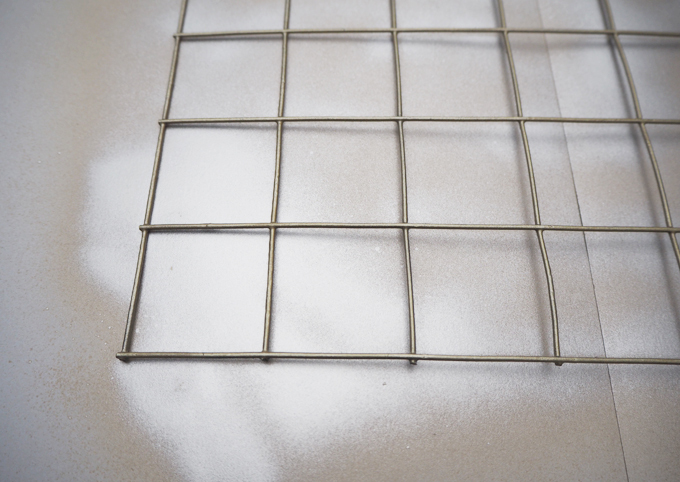 For my last post I used a wire mesh from Homebase, they don’t seem to sell anything like this anymore, but I found something very similar in The Range recently. The mesh is plastic coated and measures 91cm x 61cm approx and although I used a full grid for my last DIY, I decided to cut it down to make a smaller version this time round. 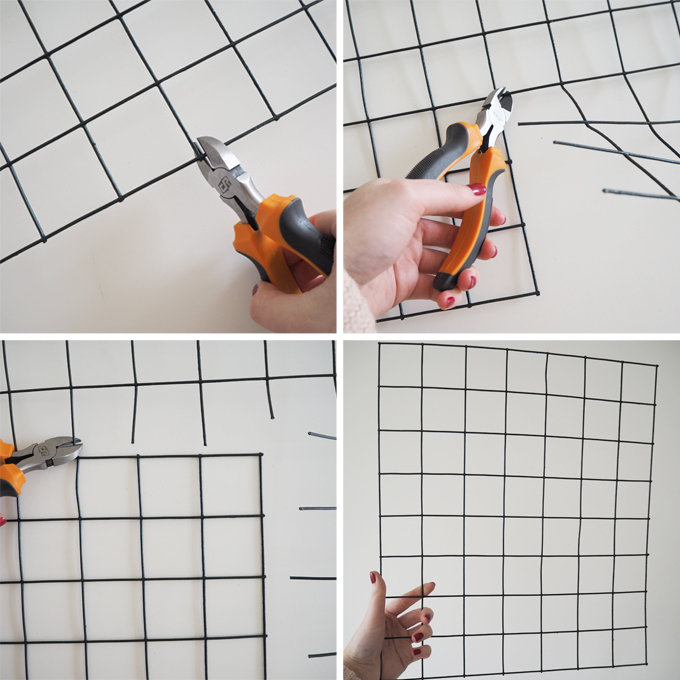 I started by measuring an approximate size I wanted my finished grid to be and marking on the grid in pencil where to cut. I then used some cutting pliers to snip away at the wire, cutting at the join between each square to give a straight edge. For reference I counted 8 squares up and 7 across, cutting accordingly, but you can create any shape and size you want. My new smaller grid measured approx 41cm x 36cm. 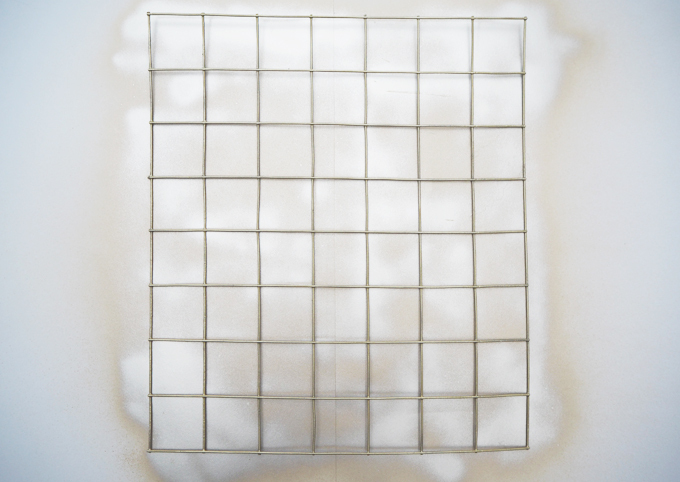 When I was happy with the new sized grid, I took it outside and laid it on a large piece of card ready to be sprayed. 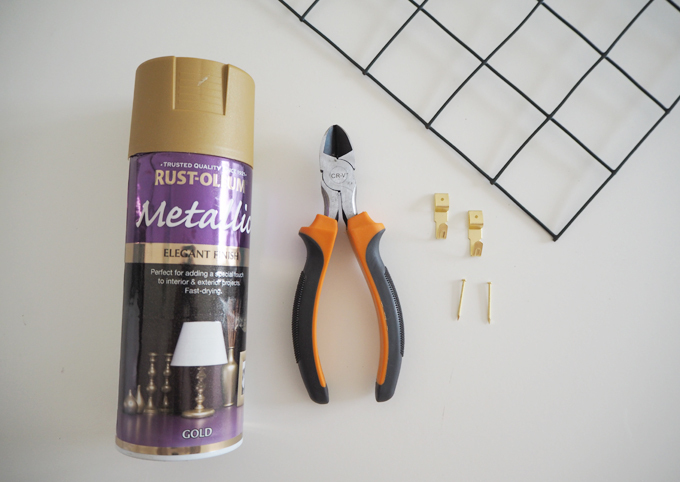 I went for a matte gold spray paint as I thought this would match the hair pin legs on my fluffy stool in my bedroom perfectly. To apply the gold paint I made sure I’d shaken the can well before evenly spraying all over the front of the grid. I then let it dry for about twenty minutes before turning the grid over and spraying the back. I let this all dry for another half hour before bringing it inside. 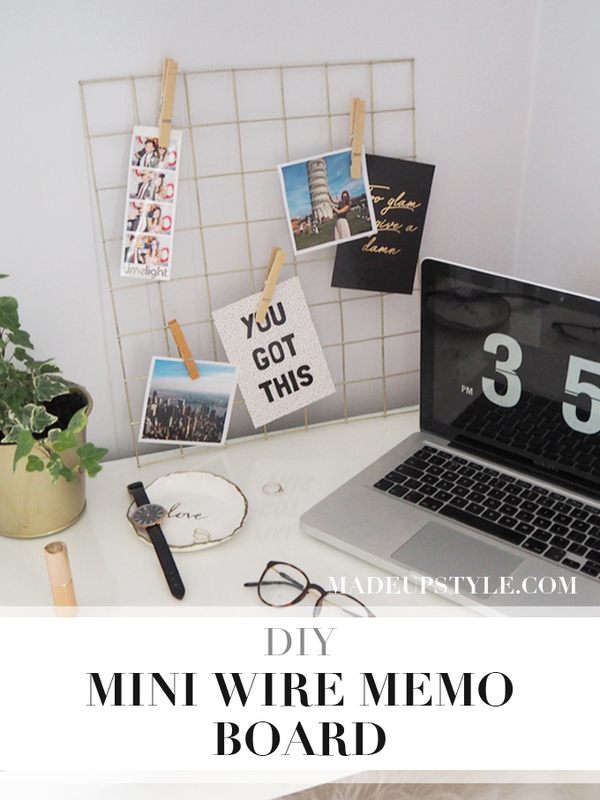 I love how this smaller version of my DIY wire memo board has turned out. Although the bigger original one is great for the kitchen, this smaller ones sits perfectly in the snug corner of my bedroom where I have my desk. 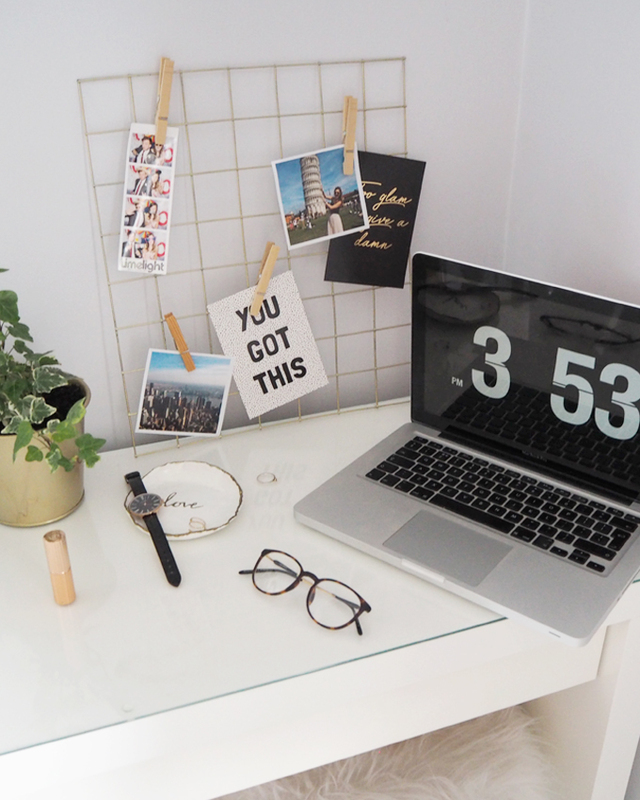 The great thing about this board is you can either stand them up on your desk or have them hung on your wall. 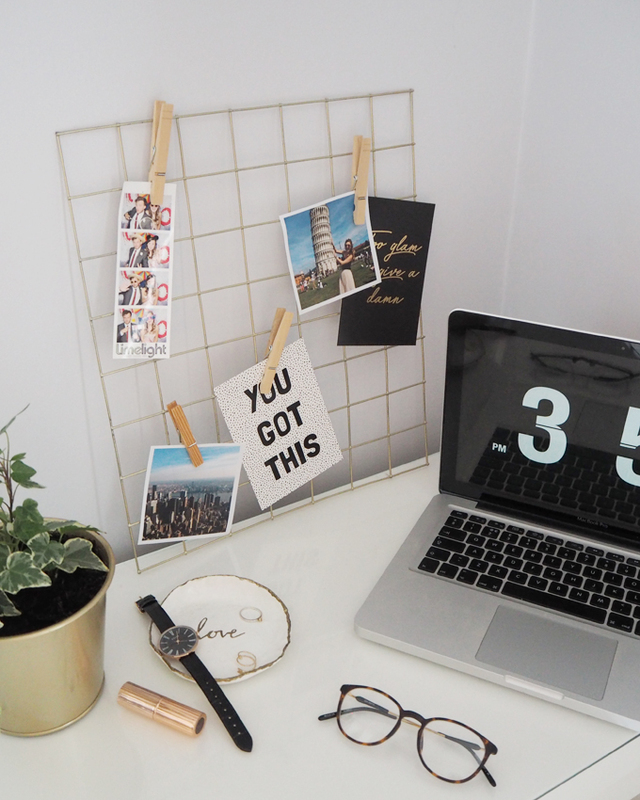 All you need is some picture hooks at either end of the grid nailed into the wall. 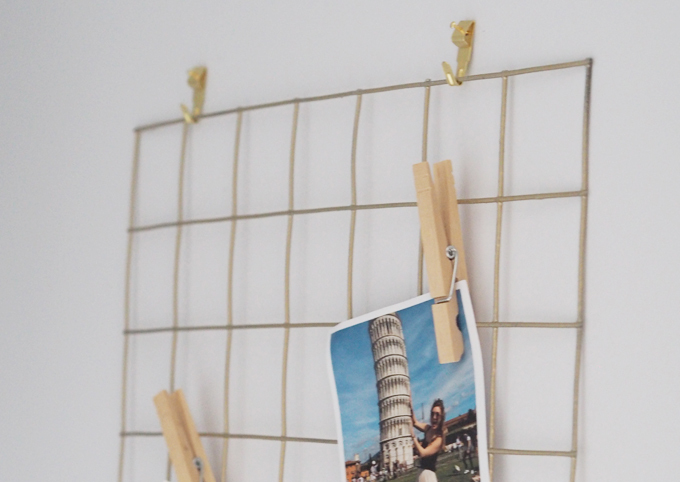 I just use some wooden pegs to clip my pictures, invites and notices onto the grid but you can use anything from bull dog clips to ribbon. 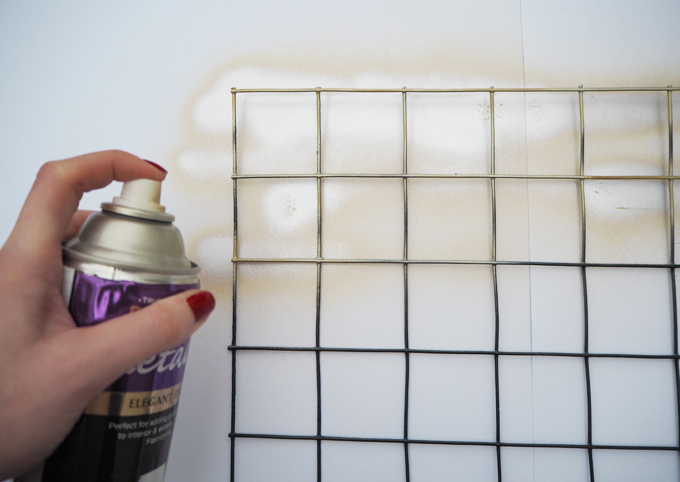 Why not spray the pegs the same colour as your grid too? 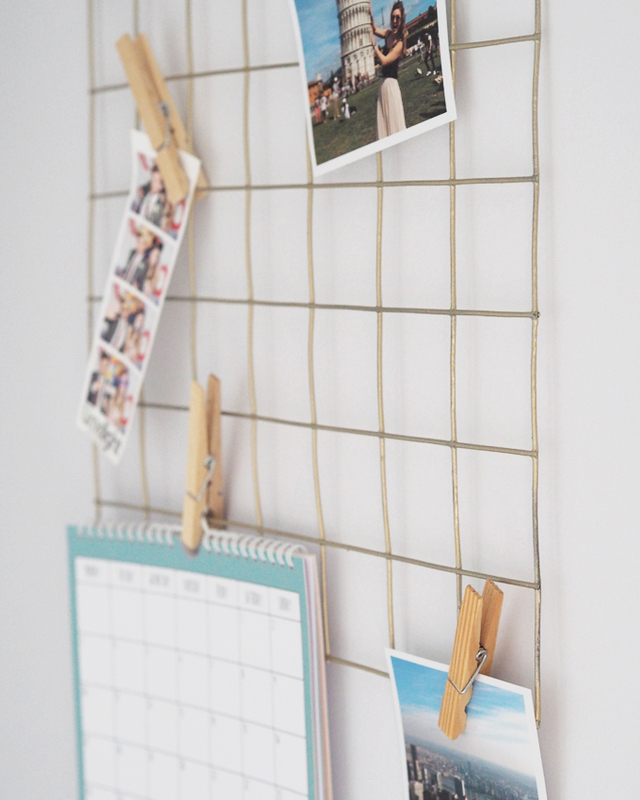 There you have it, my mini memo board DIY! 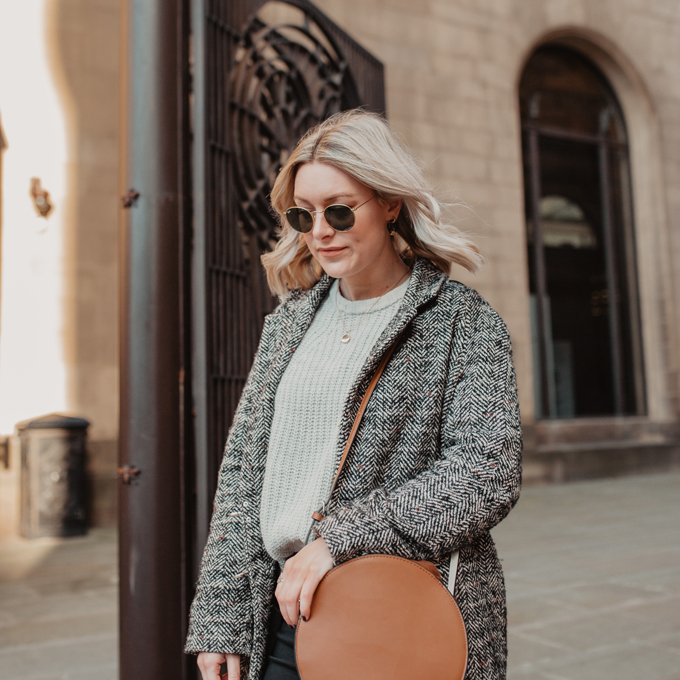 Perfect for keeping you desk or work space stylish and organised. 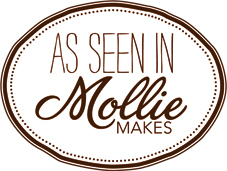 Thank you lovely! They are great aren’t they? !